His name is Scott Balber. Part 3 of a series examining the NBA's oligarch. There is a street-level lobby in a midtown Manhattan office building with security people who take their jobs seriously. Only after handing over your driver’s license, and some typing, can you get a pass which you need not only to enter, but also to exit. The elevator goes to another lobby on the eighth floor, this one with Cathedral-high ceilings, swimming in natural light. You might then walk around the corner, switch into swankier, quieter elevators, and get the feeling you’ve accomplished something. The instant the doors open on 14, to the New York offices of the London-based law firm Herbert Smith Freehills, the grime of the city is forgotten. It’s a gleaming temple to high-end gloss: tiger-striped blond wood covers the walls, the desks, the conference tables, and the trim of glass-lined halls. Silence is a myth in New York City. The subway rumbles audibly during the kissing scene in the movie theater. The creaks and whooshes of heating and cooling interlace with the idling trucks, jackhammers, and the JetBlue shuttle approaching JFK. And then there are the sirens. Just wait in this conference room. Would you like something to drink? A side table tray boasts tidy rows of Cokes, Diet Cokes, and waters for the taking. I decline. I have a minute to stare out the window, marinating in quiet. I’m about to raid the perfect display of several dozen beautifully sharpened Dixon Ticonderoga “SOFT” pencils, when I wonder: Should I turn off my phone, just to make super sure some high-end snooping thing doesn’t happen? Or is that crazy? A nicely dressed and important-seeming woman stops in, apologizes that Scott is on the phone. She offers a drink. Twice more in the next few minutes I am offered a drink. And here is Mr. Balber. Busy, smart, a little sassy, a tangle of earbuds and iPhones and lawyer clothes. He has the air of leering competence that would be right at home in fiction. For instance, remember the lawyer from The Wire? We’ve done some emailing, but I recap: I’m a basketball writer. I’ve interviewed all kinds of people, and the deeper I dig, the weirder it gets. I’m here, Mr. Balber, as a guy with a job telling NBA fans what matters in their league. And I’d love to understand Mr. Prokhorov’s choices a little better, and perhaps to laugh off the notion that the Nets owner was wrapped up in Donald Trump-Russia drama that is happening on the front page of every newspaper on earth on the September day I visited, and even more now that Michael Cohen seems to be the king of all media, talking about things that potentially involve Balber’s clients. But dang, I have questions. Scott Balber was famous-ish, in 2013. Stirring up the racist “birther” controversy, Trump had said he’d pay $5 million to see Obama’s birth certificate, to prove he was born in the U.S. HBO’s Bill Maher was on The Tonight Show with Jay Leno around that time, and did a bit about the color of Trump’s hair. Maher said he would pay $5 million to a charity of Trump’s choosing if Trump could prove he was not the child of an orangutan. At one point, Maher made fun of Balber’s signature on the orangutan demand letter. He said it looked like Balber lost conviction halfway through... the “Balber” just kind of trailed off, distracted. Which makes sense. Law.com would later refer to this as “one of the most ridiculous lawsuits of all time.” In his typical work, Balber was perfectly positioned to earn a killing. Why pause that for this? June 2013 Aras and Emin Agalarov travel to Las Vegas, meet Donald Trump, secure a deal to host the Miss Universe pageant in Moscow. November 2013 According to the Steele dossier, Putin’s government collected valuable “kompromat” on Trump in a hotel suite the night after the pageant. June 2014 Balber and then-wife Elise Zealand judged Trump’s Miss USA contest. August 2018 Balber is identified as a lawyer for the Agalarovs, and their employee Ike Kaveladze. Some rich people move assets around, through thickets of paperwork and anonymously named corporate entities, from one country to the next, in almost untraceable ways. Where is that money? We only get small glimpses, thanks to leaks like the Panama and Paradise papers. In the brilliant Moneyland, British journalist Oliver Bullough explains the varied professional services -- legal, banking, and beyond -- that make it all happen. He encourages us to imagine that money in a place that he calls “Moneyland.” Once assets pass there, they’re in a place built on the reality that laws stop at borders, but dollars needn’t. And if you knock into trouble with vast amounts of dollars moving in funny ways, Balber is the kind of lawyer with particular expertise. The Herbert Smith Freehills website says the group he created deals with a short list of things that includes “white collar criminal defense.” Recent cases include clients accused of money laundering, insider trading, and racketeering. But every once in a while he takes on something that would appear to be entirely unrelated. The orangutan was one. Here’s another: Maybe you’ve seen the Oscar-winning documentary Icarus? The star is the former head of Moscow’s WADA anti-doping lab, Grigory Rodchenkov. He confesses in great detail, on camera, to running a massive, state-sponsored, sports doping enterprise. To paraphrase some of Rodchenkov’s claims: Here’s how we mixed up the special dope blend called “the Duchess.” Here’s how we set up the lab at the Sochi Olympics. Here’s the hole in the wall where we secretly passed the dirty vials to secret agents who busted them open and refilled them with clean samples carefully collected in advance. Here is the key government minister who oversaw it all, and, by the way, is still prominent in the Kremlin. “Grigory came to the United States only after a friend of his from the Kremlin told him that the FSB is coming to kill him, that they were going to stage his suicide,” [his attorney Jim] Walden told me. Shortly after arriving in the United States, Rodchenkov learned that one of his colleagues, former Russian anti-doping agency chief Nikita Kamaev, died under mysterious circumstances. Like many observers, Rodchenkov was convinced it wasn’t of natural causes: Kamaev had been writing a tell-all book about the Russian government’s athletic doping programs. Rodchenkov filed an affidavit in the U.S. alleging all kinds of Russian athletes were doped. Some have been stripped of medals as a result. In response, three biathletes--Olga Zaytseva, Yana Romanova, and Olga Vilukhina--are suing Rodchenkov in New York state court for defaming their good names. Do you want to guess who their lawyer is? Of course, it’s Balber, straying from his area of expertise. The thing is, those Olgas and Yana didn’t find Balber, and they don’t pay his bills. The person paying the bills, or at least the only one who has been publicly identified, is the man who has long run the Russian Biathlon Federation: Prokhorov. Forget for a moment that key points in Balber’s complaint echo the points of the Kremlin spokesman, Dmitry Peskov. Also forget the irony of an NBA owner -- one of Adam Silver’s 30 bosses --apparently lawyering up on behalf of a sophisticated doping program. 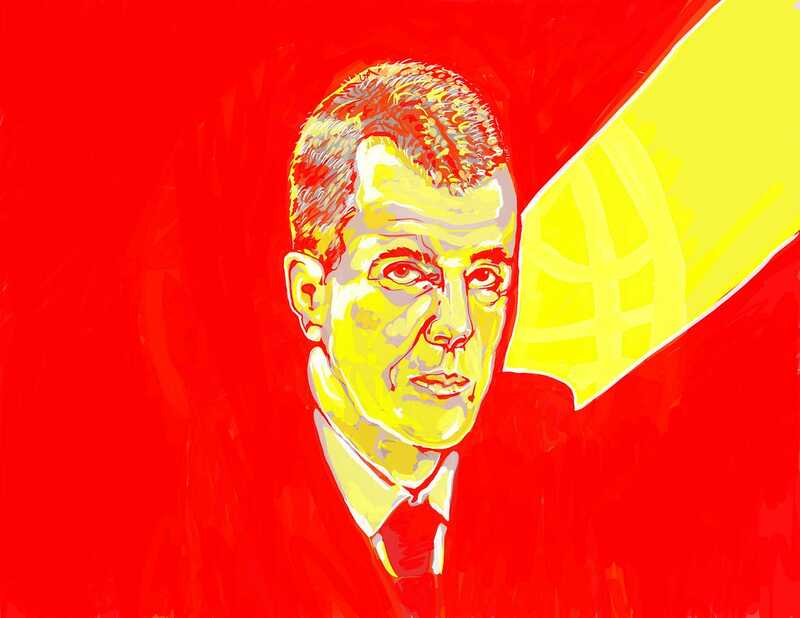 Finding out what is true about Prokhorov, or any oligarch, is tough. The system is designed to confuse. “Everything,” says one source, “is true and not true.” What seems undeniable, though, is that we have come a long way from orangutans. The stakes are much higher now. If Walden’s allegations are to be believed, I’m sitting in the offices of a man who has filed legal paperwork, funded by an NBA owner, in the service of assassins. There’s a lot I’d love Scott Balber to help me understand. 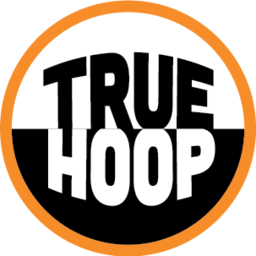 Next week: David Thorpe’s NBA insight, and Part 4 of Henry’s Prokhorov investigation.